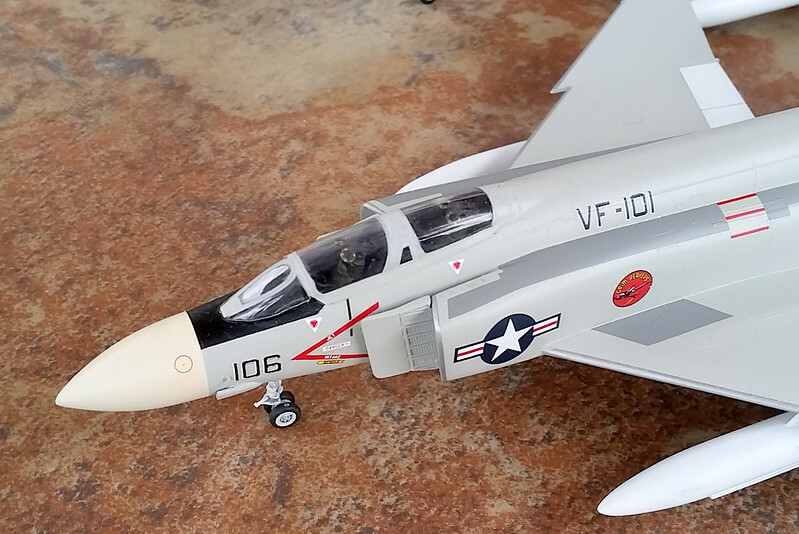 F-4J assigned to VF-101, c.1976. Depicts F-4J-33-MC BuNo 155544 (MSN 2792) of VF-101 in Bicentenial scheme, c. 1976. Aircraft later upgraded to F-4S, later converted to QF-4S drone and expended in missile test Mar 29, 2004. Kit purchased 2018 at IPMS Regionals in Richmond, VA for $6. Colors are Lifecolor Flat Light Gull Grey (FS36440) and Floquil Reefer white acrylic. Markings from Aeromaster Sheet 128937.